- 'Introduction to Stereoscopic 3D Rendering' has Sony Computer Entertainment America's David Coombes "covering the techniques used to generate stereoscopic 3D game content", from the hardware manufacturer's perspective, currently putting a lot of hardware and software effort into 3D stereoscopic gaming for PS3. The lecture will "also cover the display options that are available as well as some practical tips for optimization." - In the closing session, 'Experts Debate: Stereoscopic 3D Gaming Here to Stay? ', the day's speakers, including notables from Nvidia, Schell Games, SCEA, the S-3D Gaming Alliance and more will discuss "the potential and pitfalls of the 3D gaming landscape", from tech through gimmicky approach issues and beyond. In addition, the event includes a post-Summit mixer sponsored by engine company Crytek, who will be presenting a sponsored session on their much-publicized move into 3D stereoscopic gaming with the latest version of CryEngine. 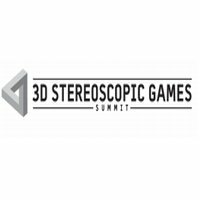 The 3D Stereoscopic Games Summit will be one part of GDC Online, which will take place October 5-8, 2010 at the Austin Convention Center in Austin, Texas and also features a main conference based around social games and MMOs, plus Summits on iPhone and iPad games, as well as on game narrative.